While a mortgage is essentially a loan on a home, there are different types of mortgages designed to suit different types of buyers and different situations. It is important that people know exactly what kind of mortgage they are getting before they sign on the dotted line. The type of mortgage you get can be the difference between paying a lot of money in interest and saving yourself thousands of dollars. Generally, there are two different types of mortgages: fixed rate and adjustable rate. With a fixed rate mortgage, the interest rate will stay the same throughout the life of the mortgage. With adjustable rate mortgage, the overall rate can fluctuate, and therefore the mortgage payments will fluctuate as well. Aside from these two basic mortgage types, there are other kinds of mortgages available as well. Do your homework and with some research and better understanding, you will be able to choose the mortgage that best suits your personal needs. Fixed-rate mortgages are the most popular option for home buyers. They are such a popular option because they allow homeowners to have certainty in their monthly payments, as they lock in a set rate of interest for the duration of the loan. If interest rates go up, the rate on their loan does not change, but if rates lower they can refinance. If the homeowner doesn't have a 20% down payment then property mortgage insurance (PMI) is required. A typical fixed-rate mortgage is benchmarked at a rate slightly above the 10-year treasury note. While the 30-year term is most frequently used by consumers, the 15-year option is not uncommon. 10-year and 20-year notes are less common. FHA and VA loans are fixed-rate mortgages. An FHA loan is a mortgage that is backed by a Federal Housing Administration approved lender. These types of mortgages usually allow the lender to put down a very low amount, often around 3.5 percent which is much lower than most banks require. While this type of loan is designed to help those with low incomes or poor credit, the amount of the loan is usually limited. When this is the case, the options and inventory of available homes becomes limited. The FHA loan is a good choice for first time home buyers and small families that are seeking a first home or do not need something too large. VA loans are only given to veterans of the US military. These mortgages are guaranteed against default, meaning that if the borrower cannot repay the loan, the lender is still protected. The VA loan is offered by private banks, so it is not necessarily a government backed mortgage. Often, these types of mortgages do not require much of a down payment, if any, making it a great option for those who have served in our military. These loans do not require private mortgage insurance (PMI), and there are also refinancing programs in place as well. Overall, VA loans are an excellent choice for military and ex-military members, with little disadvantages, although there are limits on most of the loans available. Adjustable-rate mortgages have rates which are fixed for an initial period of time, and then float or "reset" periodically after the initial teaser rate. While these offer lower initial rates than fixed-mortgages, if interest rates rise the monthly payments on adjustable-rate mortgages can rise significantly. Adjustable-rates are usually tied to the performance of one of the following indexes: London Interbank Offered Rate (LIBOR), 11th District Cost of Funds Index (COFI), and the weekly constant maturity yield on one-year Treasury bills. These loans come with caps that limit total payment, maximum rate of interest, and how much the interest can change at any time. The most common form of Adjustable-rate mortgages are one-year ARM, 3/1, 5/1, 7/1 and 10/1. The first number is the number of years the rate stays constant during the initial teaser period and the second number is how frequently the yearly rate reset. Interest-only loans are also adjustable-rate mortgages. An interest-only mortgage can have some benefits, particularly for a first time home buyer who needs lower payments. Typically, the buyer will pay only the interest on the home for the first few years of the loan, making it easier to pay it monthly. After a set period, the payments then go to principal and interest, and the payments increase. This type of loan can be good for those looking to get their foot into the door of a home and who plan to sell before the interest only period expires. The downside of this type of loan is that monthly payments increase once the interest only period is over, and not everyone is able to sell or refinance before that time. A balloon mortgage is a typical mortgage however it does have different terms. When the life of the loan is over, the lien holder must pay off the remaining balance in one lump sum, known as a “balloon payment.' If the homeowner cannot pay it off, they must refinance this balloon amount and start all over again, with the remaining payment as the loan amount. 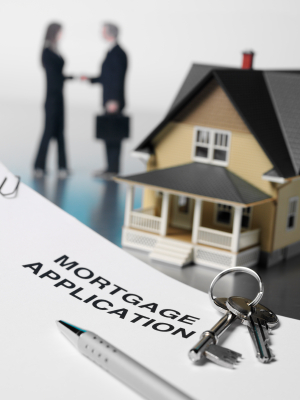 It sounds a bit intimidating, but there are some advantages to this type of mortgage. The rates on balloon mortgages are generally very low, and the monthly payments are low as well. Savvy buyers can save up their money in preparation for the final balloon payment, and their homes are then paid off at a much faster rate than most traditional 30-year mortgages. A reverse mortgage is a type of mortgage typically designed for seniors who have already paid their homes off, and are over the age of 62. These types of loans offer money for those who have paid for their home and plan to stay in it even after it's been paid in full. The reverse mortgage works like a form of revolving credit, where the homeowner received money monthly in order to cover every day living expenses. It is a good way for seniors to get extra income after they've retired, and to see some of the equity in their home pay off. The amount of the reverse mortgage will increase over time so it is considered by many lenders to be a high risk venture. Seniors should exercise caution when looking at this type of loan and find out what kind of pay back interest rates are attached as well as what the loan limitations are.